The year 2012 looks set to be a bumper one for British tourism. Millions of visitors will come from every corner of the globe to see our fabulous countryside and famous landmarks. But how many Brits could actually recognise the historic icons on their own doorsteps? There's only one way to find out! This world heritage site was built more than 1,800 years ago and stretched 73 miles. All who lived inside the wall were Romans, and all those who lived beyond were Barbarians. Where is it, and what is it called? 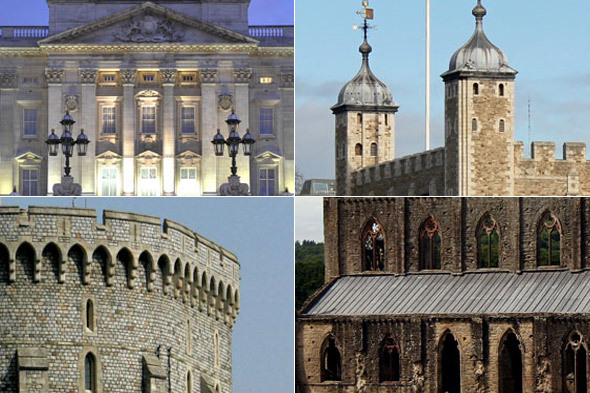 Constructed at the beginning of the 11th century, this famous landmark was built to enforce the power of King William over his newly conquered region, but today it's best known for its Crown Jewels. What is it? More than one thousand years of history sit upon this volcanic piece of rock - and every year, more than one million visitors flock to see it. Do you know where it is and what it's called? Here's an easy one for you! These infamous rocks are still surrounded by a great mystery: who built them, and why? Theories abound: some say it was an astronomy tool, others that it was a sacrificial altar. What are they known as, and which county will you find them? This is one of the greatest monastic ruins in the UK, founded in 1131. Its crowning glory, the great church, was built around 1270. Do you recognise it? This landmark was famously burned down ten years ago, when flames could be seen shooting out of one of the towers from miles away, making it look like a huge firework. After a painstaking restoration and a cost of £40million, the building has fully reopened to visitors. What is it? This humble abode has 775 rooms including 188 staff bedrooms and 78 bathrooms. Enough said.